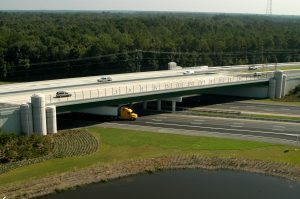 Welcome to the Northeast Florida Chapter of the American Society of Highway Engineers. We are Engineers, Construction Project Managers and Coordinators, Construction Superintendents, Lab Managers, Engineers in Training and Students. Our monthly luncheons are a great way to get out and with the help of our guest speakers keep on top of the latest news as it relates to highway construction, latest in engineering developments and of course enjoy some great food and company. Be a part of our organization and network with us. Diversity: We value, respect and include people from all sectors of the highway industry. Innovation: We encourage innovation in the highway industry by providing educational opportunities and participating in technology transfer. Integrity: We conduct ourselves responsibly, ethically and honestly. Fellowship: We value the opportunity to interact with our members and all partners in the highway industry. Quality: We strive for the highest quality in our membership services and partner relationships.